choice | the words the rapture left. I started this yesterday, in the spirit of trying to keep myself fairly occupied so I stop obsessing about what I had wanted that day to be, I figured an eats report was long over due. I’ll probably miss a hell of a lot of good eats out of this as it’s been a while, but on the reals, I’ve been having some seriously good foods recently. Challenging myself and all that jazz. If I’m honest, eating enough and trusting that my body can deal with a variety of foods and range of calories is still something I struggle with. It gets easier, but I wouldn’t say I’m comfortable. I still have no idea what I really like or want to eat, to the effect that the ultimate goal of intuitive eating still seems so far away. I still find myself making lower calorie substitutions, measuring certain foods instead of just deciding how much I want and constantly negotiating over what my intake is on a daily basis. I’m not actively counting calories anymore and I’m trying to eat new things, but it’s difficult. I wish it wasn’t so hard. I wanted it to be easier than it is by now, but I still can’t just decide what I want and go eat it when I’m hungry like other people can. I eat at certain times, regardless of how hungry or not hungry I am. I eat foods because they are easy to deal with rather than because they sound nice. I stop eating before I’m full or eat past the point of fullness purely because that’s what my meal plan suggests. I can’t just have a cake. The cake has to be negotiated in. No part of it is free and easy. I think this post will be useful to me as I had a disappointing weigh in yesterday. My weight hasn’t increased since my freak out over the seaside, so less than a kilo in a month. 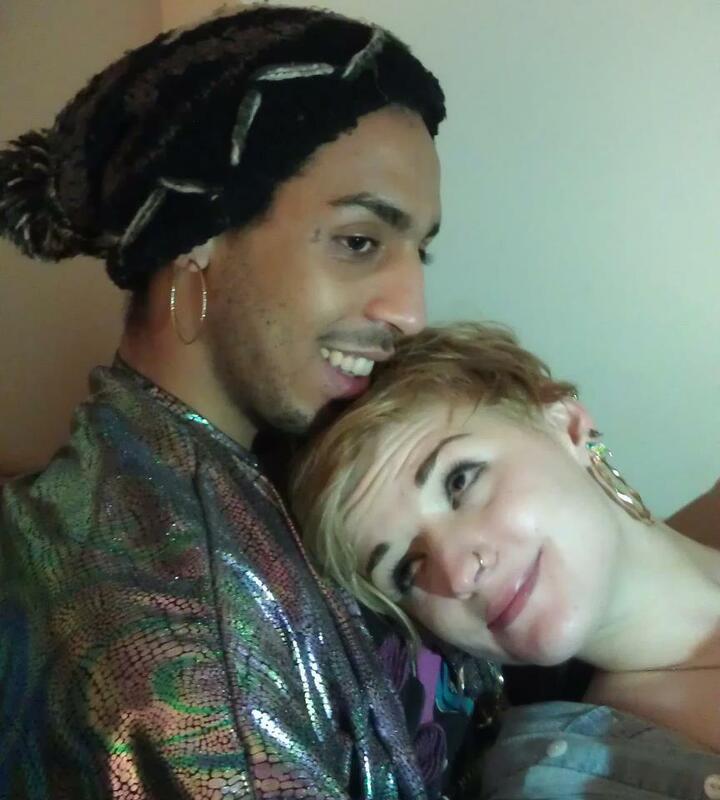 I think I may be slipping back into maintaining without really realising it. I’ve felt like I’ve been gaining a lot and getting really huge, but obviously, my perception isn’t the most trust worthy right now. I think it’d be good for me to see all the good food work I’d been doing a couple of weeks ago to help push me to get back there. Saying that though, following my meal plan (on days when I’m home and not too hungover) is actually not a problem for me right now. My usual, routine foods are fine. It’s breaking these routines which is the problem. How do you get to the point where eating is pleasurable? Every time I eat something that varies from my usual, I have a rubbish time due to guilt and anxiety and fear. Even if the food is tasty, I’d hardly notice as the whole experience is just stressful. Still, I keep ploughing on and pushing myself and hoping it’ll become less difficult. I just wish I could see how food could just become easy and nice. How can it ever be that once you’ve filled your head with pointless nutritional facts, myths and figures? Can it ever be simple? So anyway, eats. A couple of weeks ago, I was making a real effort to get more into bread. I know this sounds silly, but me and bread have a fragile relationship, fraught with bad memories and difficult associations. Granted, I didn’t exactly give bread my best shot, but I did actually buy a loaf of bakery bread! And I definitely got through about 2/3 of it before it went stale. It was honey and oat bread from Tesco and entirely sliced by my own hand. I didn’t even weigh my slices. I think a big reason I chose this one was for its size – it wasn’t very tall or wide, so the slices were smaller (I had three instead of two to make up for this though). It made it less intimidating. Plus it was a white loaf so not too much excessive fibre, but it had oats which helped counter my tumultuous relationship with the glycemic index of foods. I think I might like bread. It’s kinda left the equation again now, but I think when it was around, I was enjoying it. Fresh bread is just really nice, but I’m sure most people know that already. I got a five grain pave from Belgique today though (which I’ve quarter and put 3 bits in the freezer. One part at a time feels less intimidating) and I’ve been eyeing up the little 400g Hovis multigrain bread in Tesco bakery for a few weeks. I think that might be my next endeavour. In an effort to combat my huge desire to eat “clean”, I’ve got this really great cereal – Tesco blueberry wheats! I didn’t look at the ingredients at all but I’m pretty sure they must be riotously processed. They’re like mini shredded wheat pillow things, but stuffed with blueberry goo. They are actually fantastic guys. They have cranberry ones and apricot ones too. They’re not exactly the worlds most sugary, highly processed cereal, but they make me happy because they feel like they might be “unhealthy”, whilst still a little bit healthy looking and a safe amount of calories for me. 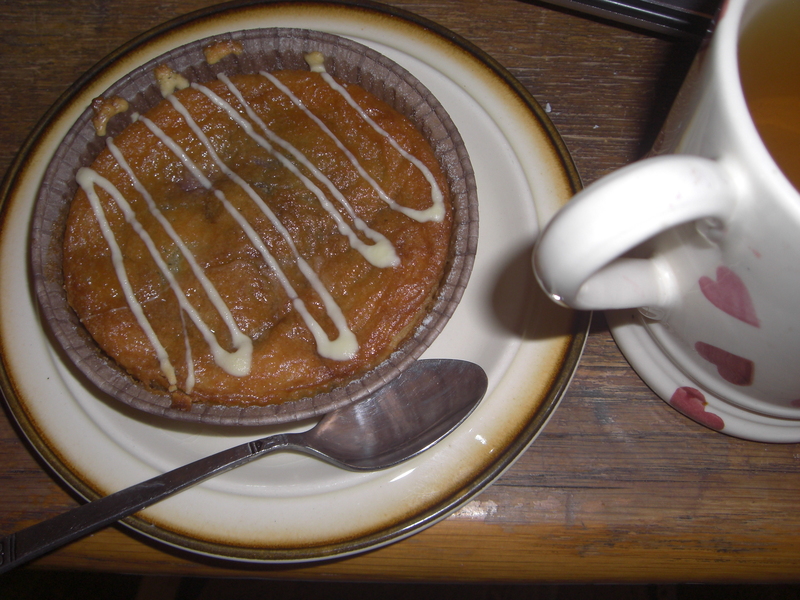 They are especially good with warm, unsweetened Alpro (standardly though) and surprisingly filling. This leads me to my most thematic breakfast yet I think! I had a blueberry breakfast bonanza! Blueberry jam (from Emmerdale farm shop!) 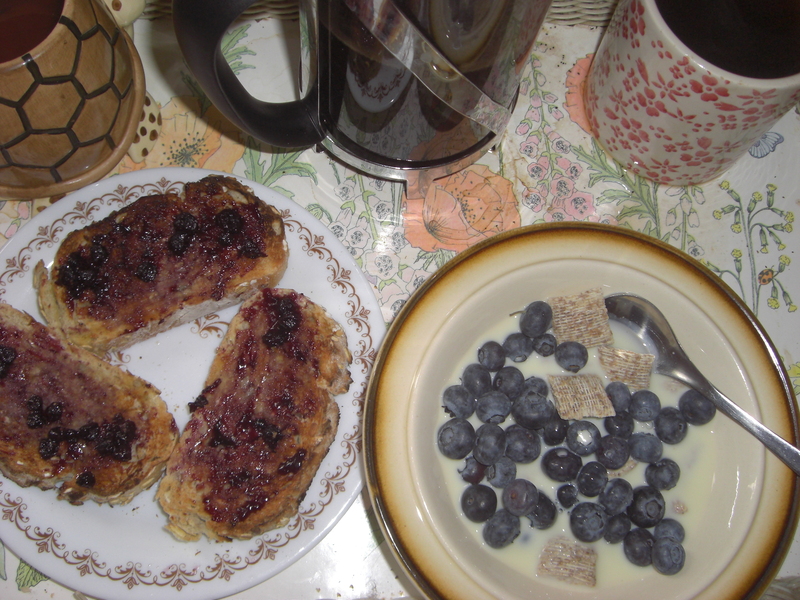 on honey and oat toast, with blueberry wheats and fresh blueberries! It was so good. I think blueberries are up there on my favourite foods front. They are so tasty and so good for you and so very pretty. Plus they are the perfect fruit for cereal as they don’t need any chopping to be teaspoon size. 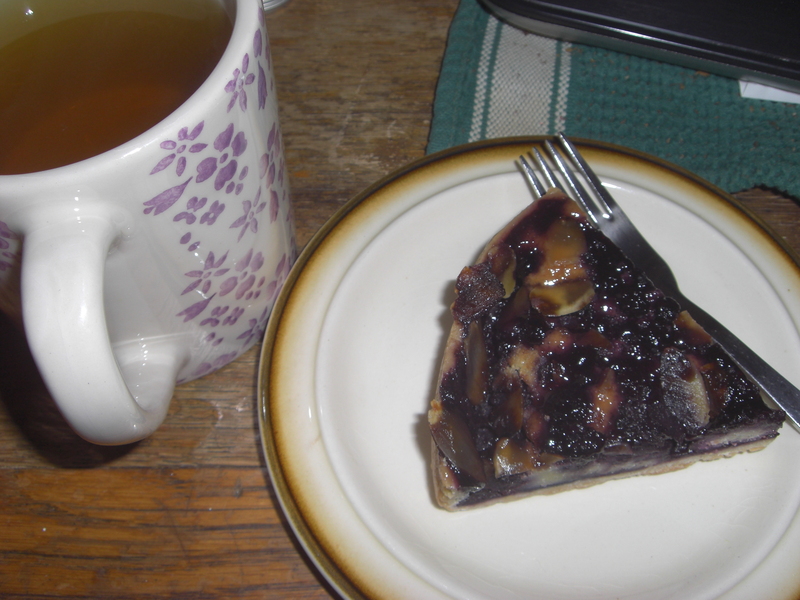 I used to be really antsy about getting blueberries out of season, but right now I’m just trying to sod all my food morals and eat the foods I do actually enjoy as much as possible – food morals can come later. Blueberries come now! 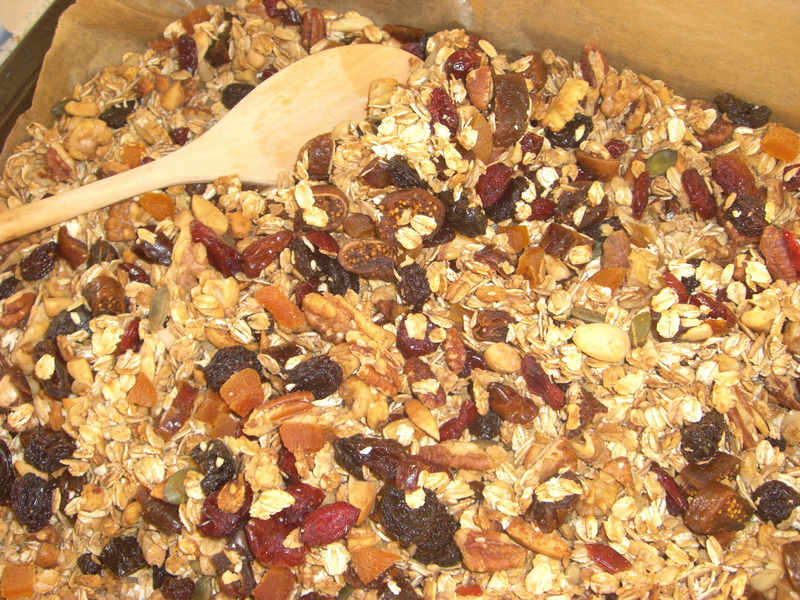 Next up, I’ve made some totally aces granola recently. During my EVERYTHING MUST BE CLEAN phase, I figured “why should I be buying granola at all? I have the time, the ingredients and the ability, so why not?” It’s actually really good. I put pecans and walnuts and almonds and brazil nuts and seeds in with the oats, smothered the whole thing with honey and maple syrup and bunged it in the oven for about half an hour, then added dried cranberries and dried figs and dried apricots and prunes and raisins and sultanas to it. Bloody boom. It’s really great. So great in fact, that I think I’ll make another batch when I run out (but I think I’ll use smushed up banana and peanut butter to make it all sticky and crunchy and sweet). It’s way better than the stuff you get in boxes because it’s just all the things I like, really cheap, and on an epic scale. Really really great guys. Also, I made my own hummus. I bought some tahini special (which I’m entirely glad about because tahini is great on toasted muffins) and made a chilli and garlic hummus. I roasted the garlic and chilli first so that they got all sweet, then blitzed about a cup of cooked chickpeas and 2tbsp tahini with a smidge of water, cumin and paprika, then added the veggies and it was bloody lovely. Really simple, really lovely food. Plus you get a serious amount of hummus for very little money. I eat hummus like everyday, so this was really useful to me actually. I recommend chilli and garlic hummus to all because it was great and spicy and lovely. I think smokers are inclined towards chilli and garlic flavors as they are strong enough to cut through the grime and hit the taste buds, so for anyone that smokes, it’s definitely a particularly good hummus treat. I HAD A BAGEL! I haven’t had a bagel is so long it’s ridiculous. 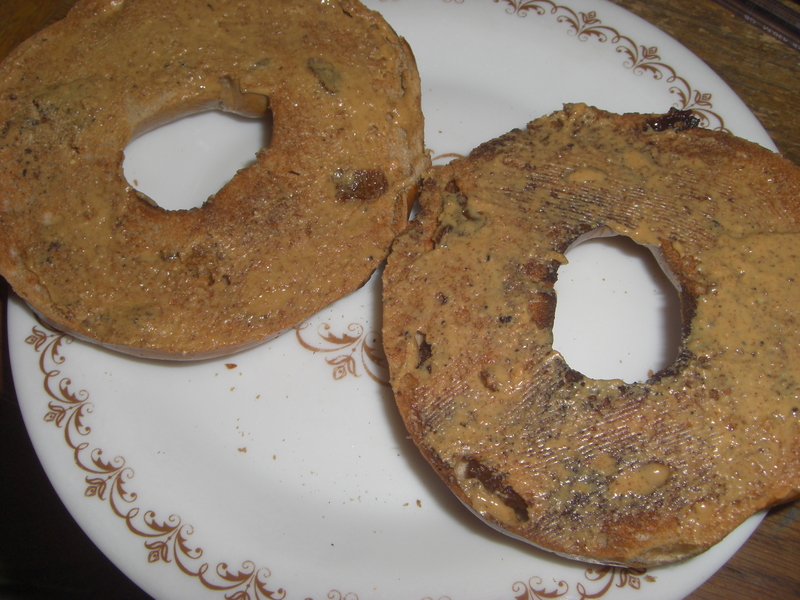 Granted I only managed one, but it was a whole cinnamon and raisin bagel spread with peanut butter and it was great. I’ve been genuinely eyeing up bagels for about seven months, but hadn’t plucked up the courage yet. The calorie content seems a little high considering the size of the portion, which made it difficult for me. I know they’re bare dense so it shouldn’t really make a difference, but in my brain, the potential satiety didn’t match up to the calorie content. But anyway, I had a bagel. And it was tasty. And more filling than I’d expected, especially because I smothered it in fatty nut butter. I gave three of the bagels in the pack to the fam, and put the spare in a little baggy to eat later. I haven’t managed it yet, but it’s been there for a couple of weeks now so probably isn’t up to much. I’m still too nervous to go down the bagel route again. I liked it, but it was hard and I’m scared to go there again. I hate that I’m like this. So much. And I hate wasting food so this is even worse. I don’t think I’m really actively challenging my fears enough to overcome them. All I know is that I miss bagels. I have, however, eaten a fair amount more cake than usual recently. I’ve had blueberry and almond tart and a blueberry blondie from Tesco, a scone with margarine and jam (I hate using more than one spread so this was a terrifying prospect for me), caramel gateaux, an apple and raisin muffin, a mystery muffin from Waitrose (I think it had carrot and walnut and seeds and maybe pineapple or something in it – really great), a raspberry and almond slice etc. (the list is long). I’ve kinda stopped eating cake again now, what with break ups and alcohol and finding comfort in safe foods again, so I need to try to rectify this. So once again, lunch with the Dad today (Belgique people – the worlds nicest local lunch place. 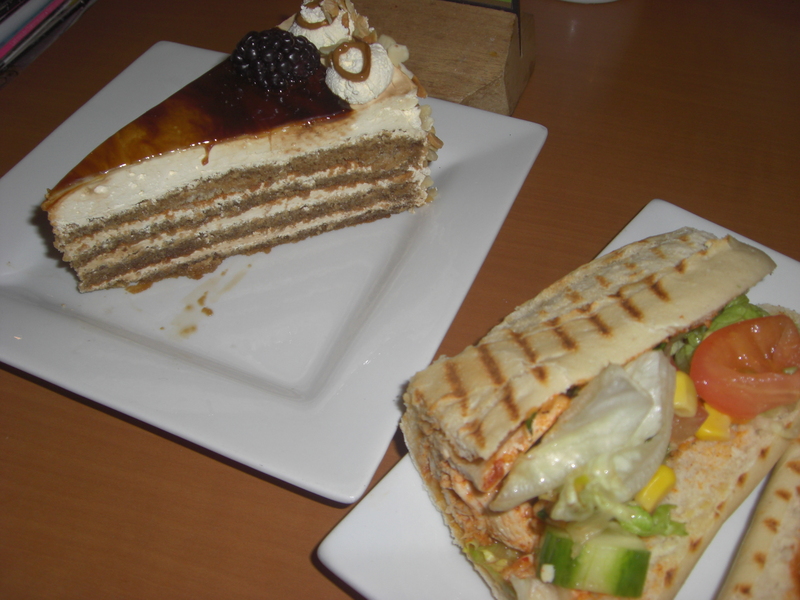 Turkey roll, double fried chips and a strawberry mille feuille. Om nom nom). I definitely was trying to get better at cake though, even though I’ve lost that now. Got to jump back on the cake train because who wouldn’t really? Cake is too good to be missed. Chocolate as well is something I’ve been letting slide. I have been eating some chocolate, but mostly in the form of cereal bars (Alpen fruit and nut bars and Eat Natural Lunchies bars – both of which are really really good just so you know). I’ve been buying more chocolate than ever, fully intending to eat it, but mostly it just sits around. At the moment, I’m trying to make a real effort to get through all the chocolate I’ve allowed to pass it’s best before date, which is a daunting task, but at least I am eating it. Chocolate is hard again right now, yet I keep buying it because it looks so good. Hopefully, the mass buying of chocolate will lead to the mass eating of chocolate in time. That seems to be the way with me anyway – I look at something in the shop for a few months, eventually I buy it, stash it away, looking at it every now and then for a few weeks or months, then eat it once I’ve built myself up to it. It’s a long and really annoying process. Sometimes it’s really demoralising, when you want something so much but can’t bring yourself to have it. It makes me feel stuck. But I get there eventually. Hopefully I’ll get there with chocolate. I bought a Wispa Gold recently. I’ve never had one before and I’m hoping I can eat it before it passes it’s best before date. I have a lot of chocolate to get through before that though. I did have some Montezuma Eton Mess chocolate though and that was really great just so you know. Moving on to the predictable yogurt front. I buy a lot of yogurt. 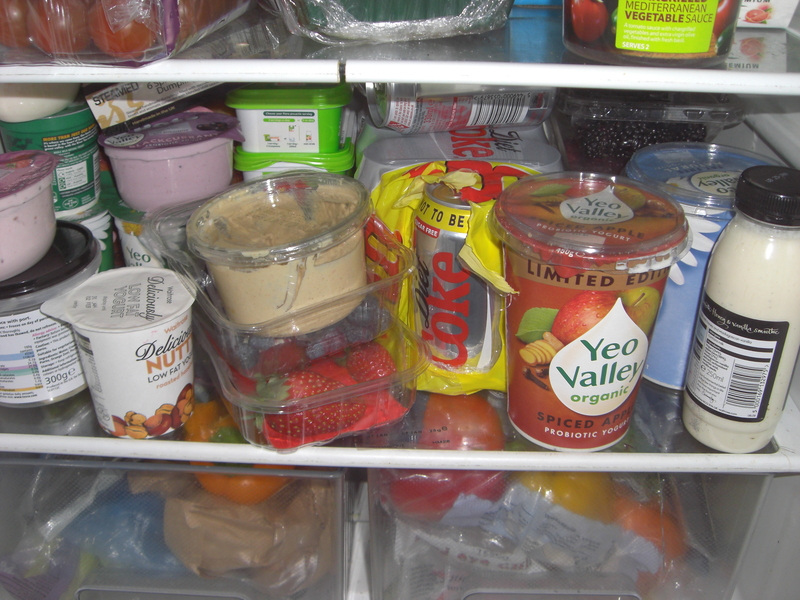 Look at my shelf in the fridge – it’s basically all yogurt. I have full fat, fat-free, fruity, desserty, big pots, little pots. I just have a whole ton of yogurt all the time. Depending on how I’m feeling, I swap and change between the types of yogurt I feel up to, but regardless of anything else, I always have a least two a day. 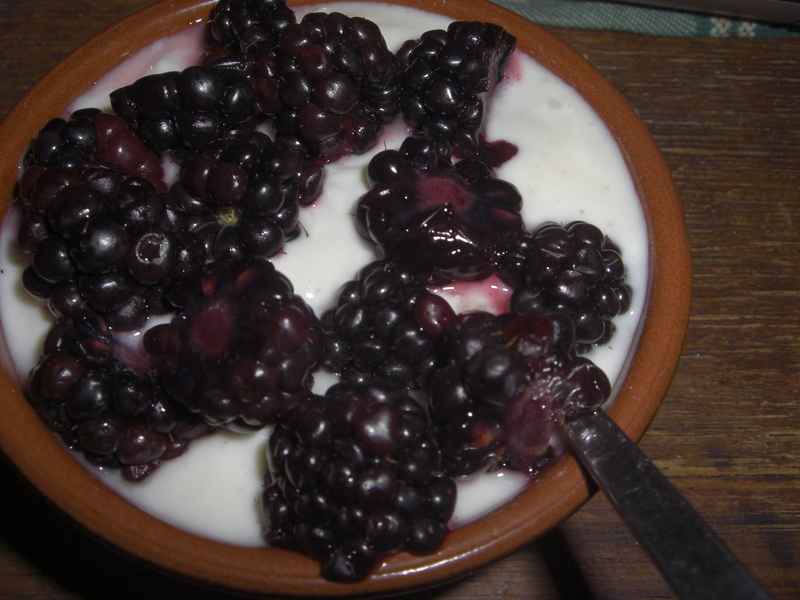 There have been two exceptional yogurt recently though, which I think deserve a mention. They were both way higher calorie than my usual yogurt choices, but looked too good to ignore. In Waitrose, I got this Spiced Apple Yeo Valley yogurt that was entirely fantastic, and a whole grain fig and date one, which was totally lovely too! I love whole grain yogurt. Onken do some good ones, but I try to stay away from Onken as it was my eating disordered desired brand, so it makes me feel a little weird. It’s really good that other brands have some too! Why I’m obsessed with yogurt I don’t know, but I am, and these yogurt were good. Really challenging but good. I don’t like going over my alloted yogurt calorie amount, so often played substitutions when eating them (swapping one full fat yogurt for a fat-free one so it all evened out). Not good. But still, I ate them and they were brilliant. On the dinners front, it’s pretty much always the same right now. I have grain, veg, pulse combos basically every day. I change all the parts around and use different herbs and spices, so it’s different everyday. But at the same time, it’s also the same everyday, which makes me more comfortable. I like knowing what’s coming and not worrying about it. 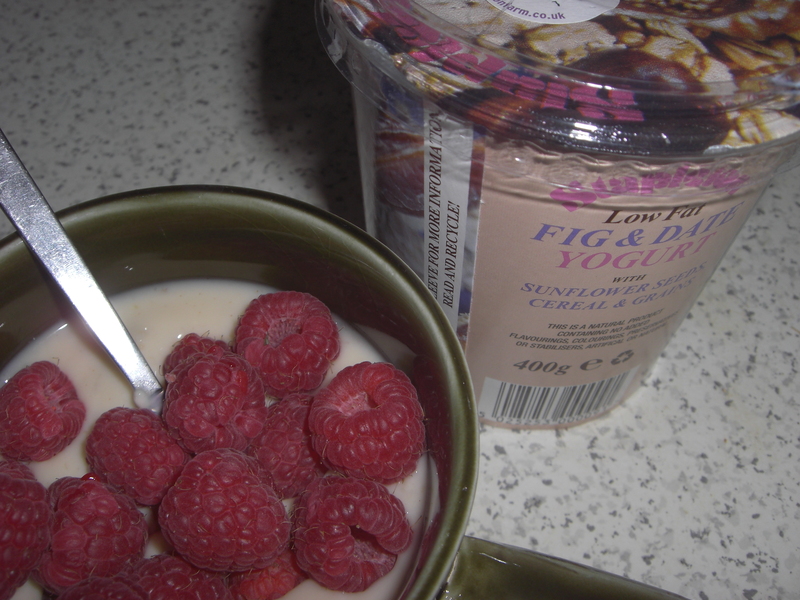 My lunches are always the same too – soup, part-baked roll with hummus, yogurt and raspberries. Always. It’s easier than having to work out what I might actually want, but isn’t exactly productive recovery behaviour. There are some great vegetables though. At the moment, I’m still eating more spinach than sense, but I’ve really been enjoying broccoli and kale as well. Kale is a really great veg, It’s so versatile and has a lot more substance than other vegetables. I’m really enjoying kale right now. And broccoli is just boom, and I’ve been avoiding it due to a miniscule amount more calories in it compared to other veg. Basically, I’ve been getting a lot of greens recently, which is definitely a good thing. I really like vegetables. I worked out I have eleven portions of fruit and veg in my average day. That’s so much fruit and veg it’s ridiculous. I love it though. I just wish I could find a way to incorporate other nice foods into my meals as well. 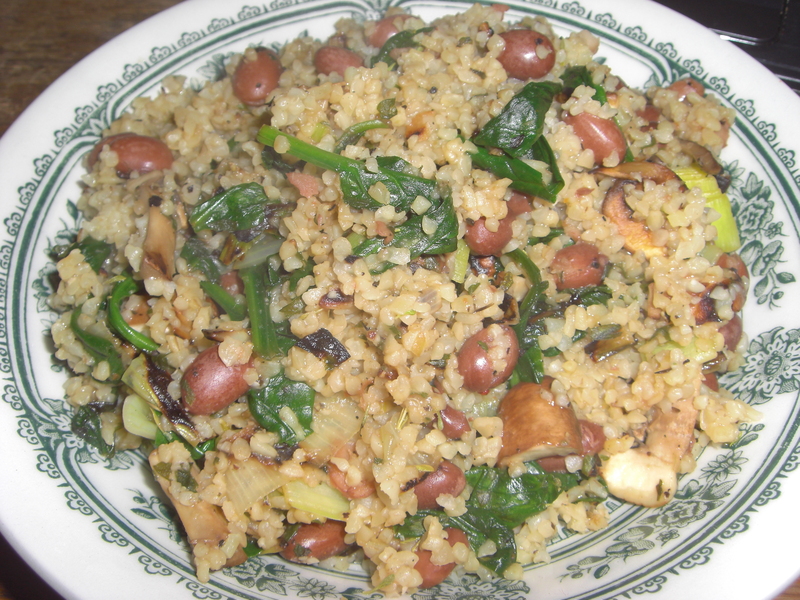 Maybe not always having pulses be my protein, instead occasionally having some meat or something. It’s still very rigid. 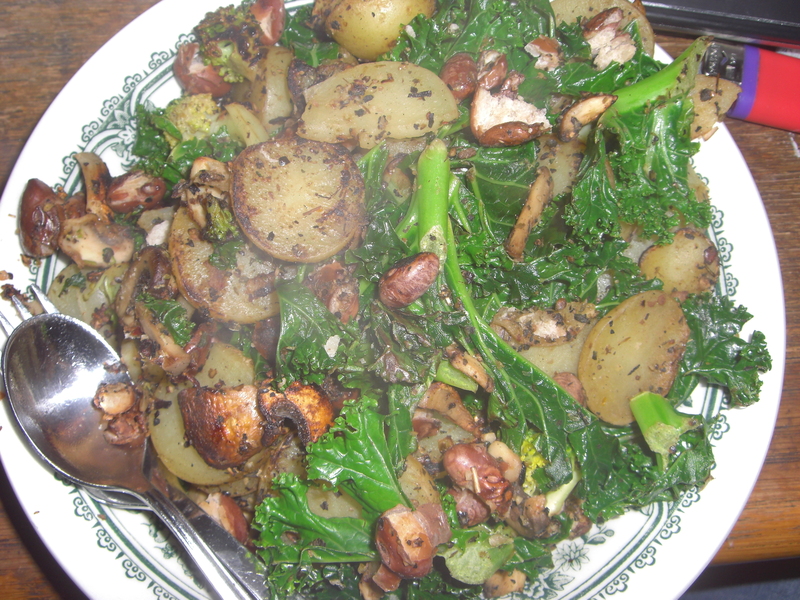 Curly Kale and Potatoes Thought. Slightly Different…. Lastly, I’m going to mention this meal because it was so difficult, yet it made me so proud. Me and the Mum went to Leighton House in Kensington, and whilst we were there, we stopped off for some lunch. 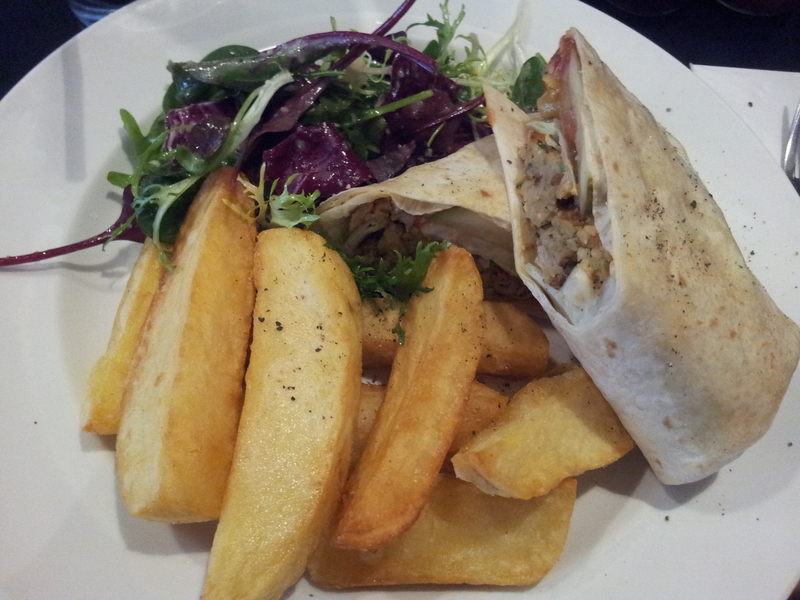 I thought I’d ordered pretty safely – a falafel and pickled veg wrap. I didn’t read the menu properly so didn’t see that it came with salad and chips. I cannot emphasise the size of these chips enough. The picture makes them look not too big but that is a large wrap and those chips were like three fingers wide. I ate every bite of them. I don’t remember ever being that full. It was like two potatoes worth! Then I followed it with the banoffee sundae. Just ’cause my meal plan says I need dessert. I was so full it was ridiculous. But it was good. Every bite tasted bloody fantastic. I’m a little bit proud of myself for that meal. Potatoes are a fear of mine and I ate like two, in one sitting. Followed by a huge dessert. It was great. So there you go. A long overdue report into how my eating is going right now. It’s definitely not perfect and needs a lot more active work, but it’s getting better. My evening snacks have shrunk down because I’m spreading my calories better and it’s a huge improvement on where I was a couple of months ago. It’s not perfect, but it’s never will be. It is getting there though. Slowly. I don’t like blogging on consecutive days. I don’t know why. It feels over the top to me. So sorry if this is annoying for people. Basically, I’m in a food rut. I literally cannot decide what foods I like or enjoy or want to eat or anything. Not knowing what I want to eat leads me to rely of foods that I find more comfortable, but these get boring. Trust me. Seven months of the same recovery foods, many of which are slightly densed up versions of foods that don’t make my eating disorder scream means years of very similar meals. I had to add a lot of foods at the beginning of recovery, but haven’t really branched out for a while and there is only so many times you can eat almonds and not start to wish for better things. I’m ok with breakfasts for now I think, and I do like my porridge and granola. It’s dinners, lunches and snacks which are the problem. Dinners especially. So I’m putting a shout out, both in real and virtual terms. There are only two foods I won’t eat for non-eating disordered reasons – coriander leaves and cheese. Everything else is fair game. There are also lots of foods that I have literally never eaten in my life, so it’d be good to get some ideas on where to start with finding foods I might like. I’ve never eaten a bacon sandwich in my life can you believe? Or a fried egg? All the foods I like now I discovered during my eating disorder and although fish fingers are good, I can cook now and I have much more varied tastes then I did before all this. I just get stuck when it comes to chosing and end up going for things I know I’ll eat with relatively little fuss. So any ideas are welcome. At any point. 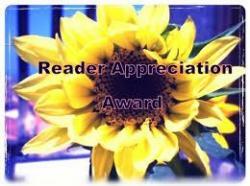 Recipes, snack ideas, brilliant food combos, generally great products. Whatever really. I’m looking for some practical food guidance as I’m finding it hard to get it from myself right now and I’m getting really frustrated in this horrible rut. Plus I think some motivation to test out the tastes of others might help me actually eat something I’m not used to. Plus I know some of you real life people do actually eat really great foods as well. But they don’t even have to be good. Different is all I’m after right now, I can decide what’s good later. Still, in the spirit of adventure, I’m going to eat my first ever tuna steak today. I just want to keep this ball rolling. what i’m looking for? huh? I had a very interesting therapy session today. I was panicking like a lot a lot after a rough few days (following on from a rough few weeks…) and just really did not want to speak. All the things we usually go through – food, behaviours, self-injury, the boy, the fam, friends, uni etc. – are all things I don’t want to deal with right now. I’ve not got any conclusions in my head and cannot decide upon any actions so I’m doing what I do best. I’m avoiding it all through destructive ways of numbing it out and hoping that at some point in the future all these things will fix themselves. Not productive I know, but I just didn’t want to process any of this right now. Whilst in the session, I thought it was very unproductive, but the few things the therapist managed to drag out of me actually gave me a lot to think about. I’m doing some serious thinking in general at the moment, generally along the lines of “Is it better to know/see/generally talk to people/have any relationships even if all I do is upset people and make them sad? Or is it better to get out of everyone’s lives so that they can be happier (as I naturally assume they would be) without me around?” I know this is entirely broken logic but I can’t stop my mind from believing that I make everyone else’s lives less good. I feel like I owe it to people to not talk to them. The therapist asked me to think about what would make me happy rather than what’s best for others and I was actually surprised to find that I really don’t know. I’m so used to framing myself as a burden that I’ve forgotten what I want out of relationships because I’m just so busy trying to come up with ways to earn them. I have no idea what makes me happy or what it is that I value or want to gain through relationships so I have no idea if they are healthy for me or not. I never stop to think about whether others are in the wrong, I just assume that if I feel negatively about something, it’s my fault because I’m obviously always rubbish thus always wrong. Thinking about what I actually want and need from a relationship to be happy doesn’t come into my thought processes at all. And this doesn’t just stop with relationships. It’s an incredibly far-reaching attitude – I literally have no idea what I like or want. What foods do I genuinely enjoy purely for pleasure of taste and eating? I enjoy things that seem “healthy” because of the anorexia and sometimes I enjoy things that seem “unhealthy” as they make me feel rebellious, but when it comes to knowing what foods I will actually enjoy and want to eat, I freak out something rotten and walk away distressed, often chosing to not make a choice thus just avoiding the hard thing. This is especially obvious with cake. Every week I try to buy a cake and look at all the cakes and try to imagine which one I would actually like and then cannot for the life of me work it out. It’s all far too many numbers and tastes and textures and I freak out and don’t buy cake. I think I’d like date and walnut cake, but do I only want it because dates and walnuts are more healthy than chocolate? Is cheesecake too much for my meal plan? Do I like fruity things or caramelly things or creamy things? What would bring me the most enjoyments so I won’t waste the opportunity? Literally every time I go to the supermarket, I spend at least 10 (more like 20) minutes looking at cakes before I decide that I don’t want to decide. And uni as well. Does studying make me happy or do I do it because I feel like I have to and somehow it’ll make me a better person? This even goes as far as just what to do. I never know what to do when I have free time. I just don’t know what will make me happy, so I just assume that nothing will and try to find ways of passing the time until I fall asleep. I try to think about what to do and just hit a wall. What do I even like? Do I like watching T.V. or films or D.V.Ds? Or do I actually think reading will make me happy? Do I actually want to read the Guardian, or do I only want to appear smarter than I am? Do I find the news interesting? Do I want to play some sort of video game? Or would baking make me feel happy? Or getting my Lush on and having a serious self-care session? Maybe doing some yoga? Do I follow such rigid routines about when and where and on what day to do anything and everything because I like them or do they make me feel less anxious but only feed my ridigity in the long run? I have no idea and to be honest, don’t even think about it anymore, so end up doing nothing at all most of the time but beating myself up for not using my time wisely and wasting life and being boring and rubbish. I am rubbish because I don’t do enough, but never stop to think what it is that I actually want to be doing more of. It’s not even that I’m not happy (I don’t expect my depression to lift through knitting or anything), it’s just that I have no concept of what things might have the possibility of being something I actually want to do. I don’t know what I need or know anything that might make me feel better. Although I’m not going to lie, I think for right now I’m going to mostly focus on what I want from relationships as I have some immediate thinking to do in that area (I really need some advice but have absolutely no idea who is appropriate to talk to), this has given me a lot to think about and probably for a really long time. Where do I even begin? How do you work out what makes you feel better? And maybe even happy? How do you go about working out what’s good or bad for you, not others or some perceived ideal of what you should be? Seriously any tips would be good right about now. On other news, the dietician is not best pleased with me. Me and my fluctuating pound that I’m really struggling to not drop below. I’ve kinda grown attached to this pound and my weight in general – afterall, I’ve been actively maintaining for over a month now, creeping in and out of the very bottom of the “healthy” range. I don’t want to actively lose, but the fear of gaining is causing me to cut further and further back on my intake, then suddenly panicking and trying to up my calories, whilst simultaneously whittling my previously super metabolism away. Basically, this has been going on for to long, I can’t kid anyone (including myself) into believing this is a healthy weight for me. I need to up my calories and if this continues, the likelihood of actually relapsing get higher and higher. If I can’t do it myself by my next weigh in (with the psychiatrist on Monday) then I start losing a say in what I eat. I am trying really hard to get my calories back up, but I’m not confident in how consistent I can be at this point. She also has made me commit to trying to stop weighing myself so much (every day, at least once) as it’s just making eating that much harder. I almost didn’t today, then got overwhelmed by fear and did. Try again tomorrow I guess. I would suggest someone hid my scales, but last time I did that I just went and bought more within a week. That’ll always be an option so I have to just stop for myself I think. She suggests down to once a week for now, with the aim to be not at all. She also wants me to be less reliant on dietetics appointments as reassurance and permission to eat enough, so we’re cutting down our sessions to once every three weeks. I think now might be a bad time for that, but I am relieved – at least I won’t be weighed for a while so to my disordered brain it means I have more time to manipulate my weight. Ah well, got to try to learn to actually trust the dietician at some point so it may as well be now. Plus I’m able to call her if things don’t go so well and she can give me some help and advice, and if my calories drop, she can send out a nurse to check the damage. This all relies on my be honest and open about my problems and concerns though and everyone knows eating disorders love to hide, so this level of honestly might be something I struggle with if the going gets tough. I don’t know. I really should do another eats report, but at the moment I’m not eating new or exciting things. Whenever I stop eating enough, I fall back on the same foods. Right now I’m eating the same things at each meal every single day (they’re only not the same if I leave part of it out…). Hopefully I can get my calories up again and I’ll have loads of fantastic foods to report. It’s sad this happened over Christmas as it means I basically missed out on Christmas eats, but it’s done now. Hopefully I’ll report of the good new things soon!